Tax Relief Indie Book Blowout! Bummed about Friday the 13th? If you are coming off that Hunger Games high and looking for adventure, teen angst, and a sigh-worthy love triangle, you must check out Bestseller for a Day on Thursday, April 12! The first book of Chelsea Fine’s amazing YA paranormal trilogy, Anew (The Archers of Avalon, Book 1), is on sale for just 99 cents. PLUS you can grab 3 other bonus reads on the cheap. What are people saying about Anew? Two years ago, Scarlet awoke in the forest alone, afraid, and unable to remember anything. Lost and confused, her life was a mystery . . . until she met a boy with a familiar voice. Gabriel Archer has a voice from her past, and Scarlet is determined to remember why. Gabriel is caring, open, and hiding a brother. When Scarlet finally meets Tristan Archer, her world becomes even more muddled. While she’s instinctively drawn to Gabriel, she’s impossibly attracted to Tristan. Both are part of Scarlet’s mysterious history, a past that might just be the death of her. On April 12, grab Anew for the incredibly low price of 99 cents and see for yourself why it makes readers sigh with appreciation. Still in the mood for more supernatural suspense? Bestseller for a Day is offering 3 Bonus Buys you won’t be able to resist. Just purchase Anew at the promotional price; send a friend who you know would love finding a fun, fast-paced read at an awesome price; and grab the 3 Bonus Buys that are the perfect companions reads to Anew. All the Bonus Buys are just $.99, and each comes with a special deal. Enchantment by Charlotte Abel: Magic faces off with young love in this tale of a young witch slapped with a chastity curse. A Kindle Bestseller Top 20 in Love and Romance. Here’s deal #1: Simply purchase Enchantment at the same time as you buy Anew, send an email to bestsellerforaday@gmail.com with “Rebate” in the subject line, along with your email, Amazon confirmation code, and 5 words from midway through Enchantment and Charlotte will send you the 100% rebate. 7 Folds of Winter by Carolyn McCray: The Winter God has gone mad, dragging the world of Strathos into an eternal blizzard. Can a band of strangers fulfill a broken prophecy or will the prophecy break them and all they hold dear? Here’s deal #2: Simply purchase 7 Folds of Winter at the same time as you buy Anew, send an email to bestsellerforaday@gmail.com with “Rebate” in the subject line, along with your email, Amazon confirmation code, and 5 words from midway through 7 Folds of Winter and Carolyn will send you the 100% rebate. Gifts of the Blood by Vicki Keire: Before her world tilts toward impossible, Caspia Chastain thinks the only strange thing about her is that she sometimes draws the future. But then a stranger named Ethan appears. He’s frightening one moment, caring the next, and looks exactly like the subject of her most violent drawing. Here’s deal #3: Simply purchase Gifts of the Blood at the same time as you buy Anew, send an email to bestsellerforaday@gmail.com with “Rebate” in the subject line, along with your email, Amazon confirmation code, and 5 words from midway through Gifts of the Blood and Vicki will send you the 100% rebate. By helping us drive Anew by Chelsea Fine to the top of the Kindle lists on April 12, YOU can win, too! Because Chelsea is giving away a brand new Kindle! Simply purchase Anew on April 12, then head to Bestseller for a Day and fill out the entry form (located at the top of the righthand column). You will only need to enter your email address and the first 5 numbers of your Amazon purchase confirmation code! And tah-dah! You just gained 5 entries to win a Kindle! Subscribe to the newsletter at Bestseller for a Day and stay on top of all the news, the deals, the fun. Want to have ANOTHER 5 entries with your name on them thrown into the drawing? It’s easy. After you purchase the Bonus Buys—Enchantment, 7 Folds of Winter, and Gifts of the Blood—race back here and fill out the newsletter form again (don’t worry, we won’t send you duplicate newsletters) and enter your Amazon confirmation code. Want even more chances to win that Kindle? Tell a friend about these fun, fast-paced books being sold on April 12 at the incredibly low price of 99 cents. Tweet it, Facebook it, spread the word, and we’ll thank you with MORE extra entries. Just email indiebookibc@gmail.com with the details of where, when, and how! This Indie Book Collective event is designed to bring you great reads at great prices and push indie authors to the top of the Kindle charts! Events like Bestseller for a Day help authors expand their fan base and be successful. And we all know what successful authors do—they write MORE books to feed your need to read. April is awesome YA paranormal month at Bestseller for a Day. Get in on the action, romance, and supernatural tomfoolery. Interested in participating in Bestseller for a Day as a Bonus Buy book? We’re always on the lookout for great indie books to include in our promotions! What’s required? You must be available in eBook format, be on Twitter, and have a blog. Want more info? Contact us at indiebookibc@gmail.com for more information! On March 14 – 18, thirty-five Indie authors linked arms and kicked off a free promotion, building on the success of our first IBC Free Par-Tay. With over sixty titles representing every genre, the Indie Book Collective’s “Lucky Day’s Free Par-Tay” was out to rock the world of eBook publishing, and by the close of the first day we ran out of superlatives! By the end of the groundbreaking promotion, the stunning success of the Lucky Day authors had us shaking our heads in astonishment. Stephanie Bond had three of the top five titles on the free list and continued her amazing success when she moved from the free lists to the paid. She made it into the top five spots on the paid list, and at the writing of this post is claiming the TOP 3 spots in the Movers and Shakers lists. Like all of the authors, Stephanie is effusive in her praise of the event. Determined to bridge the challenging move from the free lists to the paid, we extended the event adding a three day Indie Book Blowout giving the authors in Lucky Days the advantage of heightened visibility and support in that all important move to the paid list. And once again, the numbers proved the wisdom of that strategic initiative. Two days following the end of Lucky Days Indie Book Blowout, we’ve had 5 titles in the top 100 paid list, an additional 9 titles under 500, and a total of 20 books in the top 1,000 paid titles. But there was an intrinsic, less “measureable” aspect of the event. That was the camaraderie, support, and commitment to each other’s success. When the great numbers came in, we all roared with approval. When someone started to slip, the gang went into high gear with extra tweets and pats on the back. Well said, Virna, J., Ann, and Stephanie. And, well done, all! Are we resting on our laurels? Never! Already we are hard at work planning our next Free Par-Tay and Indie Book Blowout, Spring Fling, May 7-12 with a special Mother’s Day Finale. Want to change your writing career? Work with dedicated authors who are out to make a splash? Consider joining us. If Lucky Days is any example, you’ll have the ride of your life! I love March. It’s one of my favorite months of the year because we eagerly wave good-bye to winter and embrace the warmth and green and brightness that is spring. In fact, March is one of my favorite months to write because I can take long walks without freezing my toes off and think about where my stories are going, or develop new characters. Everything seems to inspire me—a robin sitting on its nest, a newly budded flower, the blue sky—I find story inspirations everywhere, and my muse is as giddy as a school child at recess when she thinks of all the story possibilities. At the end of November, I told you that I’d be back in the spring with more NaNo news and posts, and I’m excited to tell you that the time has come. It’s time to dust off those manuscripts, flex those writing muscles, and take the next step toward achieving your publishing dreams. I told you that the Indie Book Collective is here to help you reach your writing goals, and that I’d be going through the process with you. This year, as my own version of March Madness, I’m participating in a month-long program for writers called National Novel Editing Month. It’s designed for those pesky little internal editors whose red pens you stole and who you sent on vacation during NaNoWriMo. This month, NaNoEdMo participants gather together and, in traditional NaNoWriMo style, join forces to help push each other to edit their novels. The challenge is to log 50 hours of editing time by the end of the month. And since I know you’re all working hard on your own stories, who wants to join me? Before you panic and run away at the thought of this challenge, let me assure you that the hardest part is behind us. Writing at least 50,000 words in 30 days is a monstrous task, and if you can do that, then logging 50 editing hours in 31 days will be a piece of cake (and you even have an extra day!). Even if you didn’t make it to 50,000 words in November, you can still participate in NaNoEdMo. The philosophy is the same: at the end of the month, it’s really all about advancing toward your publishing dreams. If you can only log 3 editing hours the whole month, you’re that much closer to having a polished manuscript that’s ready for publication. And the best part is that you don’t have to do it alone. Grab your favorite writing buddy, go to your local writers’ group, or talk to your muse. Tell your friends that you need them to check on your editing status to see how many hours you’ve logged this week. You can do it! I’m also excited to tell you that NaNoEdMo is just step two of our journey. In June of this year, the IBC is introducing its own month-long program called National Novel Marketing Month—NaNoMarMo for short. NaNoMarMo is going to be amazing, and I can’t wait for you all to participate. The goal will be to set up and implement your author platform and start marketing your book by the end of June, whether you’ve published it yet or not. We’ll have message boards, a website, prizes, and so much more. The IBC will release more details about this program soon, so keep watching for more info. Melissa Dalton is a writer and a book lover, and she has been all her life. Her first novel, Merrick Maples and the Legend of the Lost Stone, which she wrote during NaNoWriMo 2010, will be released in June 2012. Find her on Twitter, Facebook, or at her blog. Discover over 40 amazing ebooks: Romances, Thrillers, Mysteries, Humor, and more! On Feb 2- 4 , Indie Book Collective conducted our first FREE Par-Tay. Twenty–five authors linked arms in the first ever coordinated FREE event on Amazon. The results? PHENOMENAL! Of the 40 titles in the promotion, all but four ranked in the top 500 FREE and ALL ranked under 1000 FREE. Moreover we had 10 authors who scored in the top 100 FREE consistently throughout the free promotion. Our results following the free promotion during the paid cycle were nothing short of amazing. We had a 79 %rise in rankings overall and our top producers scored an astonishing 89 % rise in rankings. As of this writing many of the books are STILL in the Top 1,000 PAID lists. We are taking everything we learned in our groundbreaking FREE Par-Tay and applying it to LUCKY DAYS. There’s a genre for every reader’s taste. You like Romance? We have them. From Romantic Suspense to Humorous Romance, Paranormal Romance and Historical Romance? We have them all! Or if Mysteries and Thrillers are your thing you can’t go wrong. Police action, Murderous Mayhem, amateur sleuths and more. You’ll also find Horror, Fantasy, Sci-Fi, and Woman’s Fiction…. A fantastic selection! Got kids? We have books for elementary school age and teens alike. Don’t miss out! Soon these amazing ebooks will be back to their usual prices. Grab them while they’re FREE! March 14th-18th. Who says you can have too much of a good thing. You can never have too many great books. Load up your Kindle and tell your neighbors to do the same. Will be Biggest and Best FREE Promotion Ever!!! It has already been one year since Carolyn McCray (IBC co-founder) and I shared this conversation and it feels as though it were only yesterday. 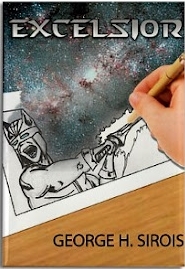 She had asked me what other stories I had on the horizon, and I mentioned two: the eventual sequel to Excelsior and my 2002 novel From Parts Unknown, which was with iUniverse and should have been formatted as an ebook months ago. She asked me about that 2002 book, and I told her how I accepted an offer from the POD publishers to have my novel turned into an eBook in March of 2010. All I had to do was purchase 25 copies of the paperback, and they would sell them to me at half-price and perform the conversion for free. Of course, this conversation with iUniverse took place almost a full year before I would join the IBC, so this sounded like a great deal for me. However, months passed and I grew less enchanted with the deal, especially when I discovered that From Parts Unknown would have a $9.99 price tag. I started re-reading my novel for the first time in years and, much to my chagrin, I didn’t like it anymore. However, I had some ideas on how to make the book much stronger. When I told all of this to Carolyn, she told me something that I would never forget. I contacted iUniverse and told them that they still have not fulfilled their end of the deal they offered me. 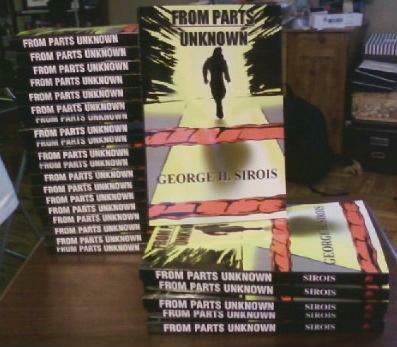 Therefore, I would like all rights of From Parts Unknown returned and all forms of my book removed from all catalogs. To their credit, they complied and in less than 30 days, I received the letter severing all of my ties with iUniverse. 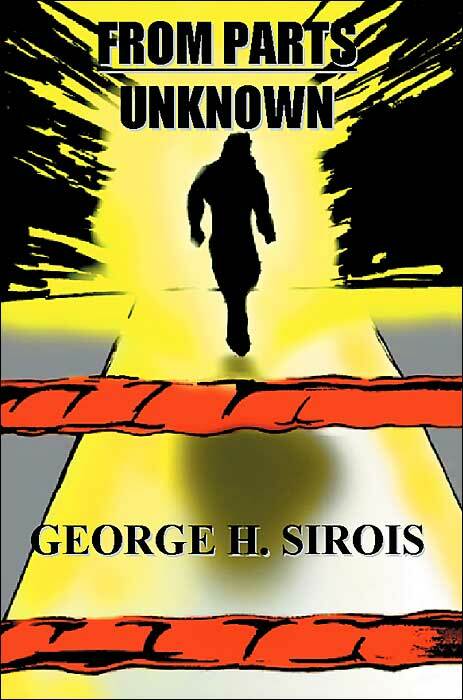 Now, little more than a year after that fateful conversation, I am still hard at work with rewriting From Parts Unknown. It turns out this rewrite is more difficult than I originally thought, but I can already tell that it’s going to be worth it in the end. In closing, I offer this suggestion to all of you who may have some abandoned projects sitting in your desk drawer. Give them another read. Find out what worked and what didn’t work. Maybe it’s a supporting character that would fit better in a different story. Maybe the story itself works, but it wasn’t told effectively the first time around. Whatever the case, the work you have slaved over at your computer should not be cast to the forgotten realms of your desk drawer or your hard drive. Especially during a time when it’s easier than ever to share that work with the rest of the world. Of course, I’m not suggesting that you just upload whatever you have, regardless of quality. If I were preaching that, then From Parts Unknown would already be up on Amazon and would have maybe a couple of three-star ratings, making no impact whatsoever. Despite the ultimate fate of the paperback version, there are bigger and better things awaiting this story, but only when all of the rewriting is complete. So I can’t thank Carolyn enough for giving me this valuable advice, and I hope that when this version of my story is finished and uploaded, you’ll see why I felt it was worthy to have a second life. Spring Fling Free ParTay – Changing the way we do business!